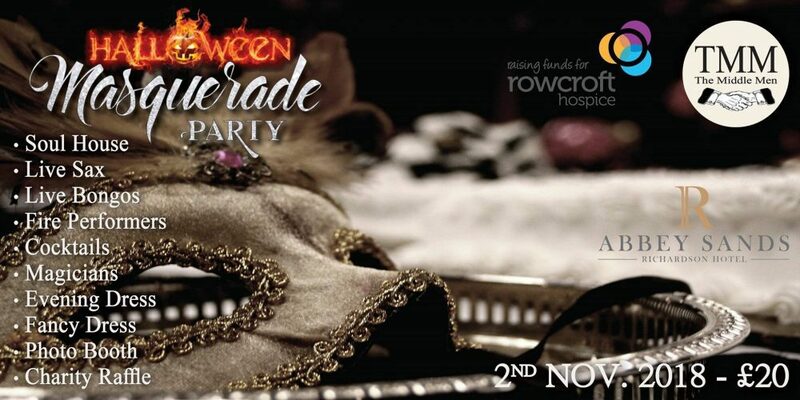 Prepare to be entertained at this Halloween Masquerade Party hosted by TMM at Abbey Sands Hotel. With everything from a DJ to fire performers, a live saxophonist to a magician, bongo players to a fun photo booth, you’ll be sure to have a fabulous evening so get your ticket soon! The raffle is in aid of Rowcroft so whilst there, don’t forget to buy your tickets to be in with a chance of winning one of the amazing prizes they have lined up.